North Queensland, Australia: Post-cyclone, northern Queensland has a major opportunity to rebuild for a changing climate. 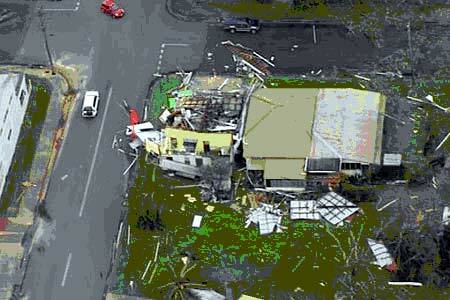 Category 5 Cyclone Larry made landfall on the coastline of North Queensland at around 7am on Monday, March 20. With wind speed reaching near 300km/h, it exceeded the force of Cyclone Tracy that flattened the city of Darwin in December 1974. Larry’s highest wind gusts were 70 km/h greater than that event and 50km/h faster than the U.S.’s Hurricane Katrina. By the time the 50km wide front reached Normanton, 1,000kms to the west, it had reduced to Category 1 and had left an inevitable trail of destruction in its wake. The combination of a small and dispersed population, plus three days of preparation, meant that no lives were lost and injuries were few. Yet thousands of buildings have been destroyed or severely damaged. The coastal towns of Innisfail (south of Cairns) and Mission Beach, plus the settlements between them have been devastated. Schools, hospitals, commercial buildings, homes, crops – nothing escaped the violence of the wind. Ninety percent of the nation’s banana crop was been wiped out and sugar cane was also hard hit – such damage will cost thousands of jobs. Heavy rain and floods followed – and three days later it’s still raining. Sodden, homeless people spend their days queuing for food and cash hand-outs. A massive relief operation to supply food, power, water, sanitation is underway. 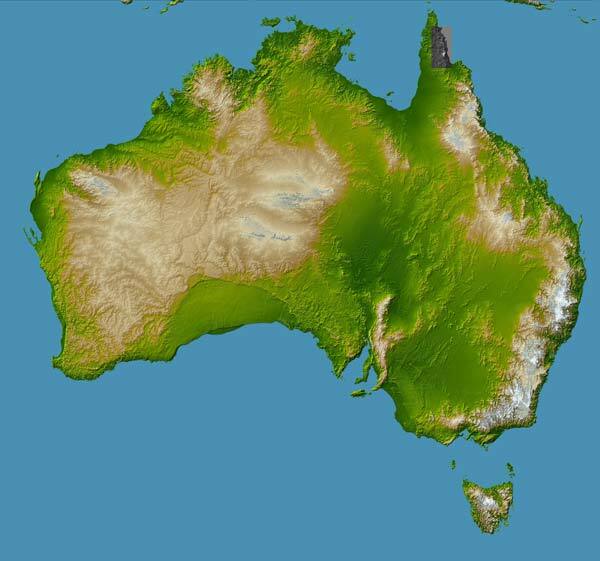 In his work on climate change projections and impacts more than over five years ago, Graeme Pearman, then chief of Atmospheric Research at CSIRO (Commonwealth Science and Industry Research Organisation), had indicated the likelihood of such an event in that region of Australia. For such efforts Pearman was virtually forced out of the now decimated division of the organization. The message that climate change will change Australia is still not really being faced by either the population en masse or their political leaders. Retired General Peter Cosgrove, Australia’s most famous living soldier, has been appointed to head the reconstruction effort. Here we come to the crux of the issue – the nature of what is rebuilt, how that is decided, and what action follows. General Cosgrove needs good advice and he needs it now. Darwin learned a great deal from its cyclone experience in terms of construction. The leadership in rebuilding Innisfail and other towns of the region will fail not just the people who experienced Cyclone Larry, but the nation as a whole if they do not go beyond the standard set by Darwin and rebuild for a changing climate. In fact, what is actually, and more generally, needed is a complete review and revision of the building code of Australia to insure that standards are based on realistic expectations of the coming climate. Unquestionably, cyclonic winds are part of the climatic mix that climate change will increasingly deliver. Built structures have to be stressed to withstand them. They equally have to be able to withstand the impact of flying objects. For example, Larry hurled cement blocks thought the air, smashing into timber homes and those clad in fibre cement board. Likewise, roof structures have to be built to withstand the wind pressures, windows need to be able to be shuttered, and power lines need to be below ground (with emergency power supply available – which was not in place in Innisfail). Equally, there are landscaping issues that beg careful consideration in relation to overland water movement and tree planting, in particular their species and proximity to structures. The old Chinese adage that “every disaster is also an opportunity” should be taken advantage of. What the rebuilding in northern Queensland actually affords is a major opportunity to educate the nation, its architects, builders, and building owners in the need to “build for a changing climate” – this includes retrofitting existing structures. The insurance industry should take a promotional lead in making this happen. Sure, it will be an expensive exercise, but it will be a darn cite cheaper than it and government paying out when future extreme weather events arrive – which they will. Of course, local people will want new and repaired buildings as soon as possible; they will equally not want to suffer the same level of devastation again. They need to understand the risks, and act for the mid- and long-term future, as do the politicians. Pandering to a short term view would be costly for all concerned! Tony Fry is a Queensland-based sustainable design consultant and writer.